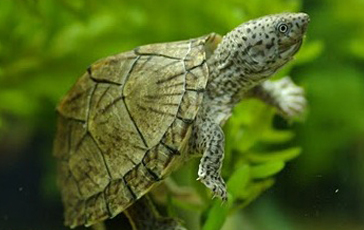 The razor-backed musk turtle grows to approximately 5.9 inches in length. It has a brown-coloured shell with black markings at the edges of each acute. The shell has a distinct, sharp keel down the centre of its length, giving the species its common name.